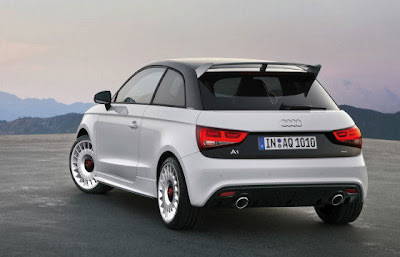 The 2012 A1 Quattro is a new limited edition subcompact hatch from Audi. Highlights of this model include a 2.0-liter turbocharged and direct-injected four-cylinder engine, something normally seen in Audi’s S3 model. 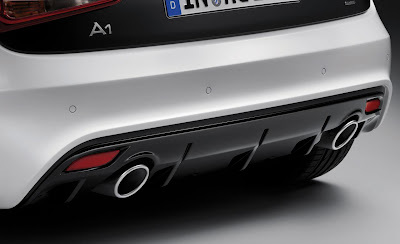 Key highlights include a 252 horsepower engine offering a 70 hp improvement on the original A1 model. While every technical spec is not yet available, the German car maker promises the car will match the S3′s 0-60 mph time of 5.7 seconds, which needless to say will make many take notice. The exterior of it is in line with many of Audi’s sophisticated and sporty looking bodies, while the interior has an upgraded instrument panel, aluminum pedals and red contrast stitching on the leather seats. This model is set to release sometime late next year and unfortunately will only be made in a quantity of 333. Unfortunately it will not be available stateside. 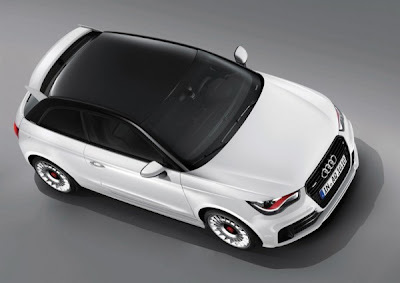 Not only does the A1 Quattro look stunning - special props to the red handlebar ’wing’ lights - but it’s also got some serious ponies under its hood. It’s not in the level of what the 500-horsepower A1 Clubsport was capable of, but it certainly packs a meaner punch than a lot of factory-built A1 models out on the market these days. 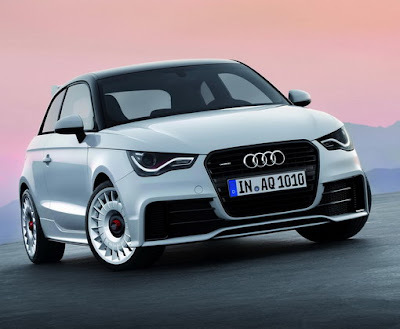 Creative and evocative design matched to an impressive 2.0-liter TFSI powertrain and the use of Audi’s very own quattro all-wheel drive has turned the Audi A1 Quattro into a serious must-have. The only downside is that Audi will be limiting the release of the car to just 333 units with prices still to be announced. But we like it so much that even if we don’t know how much it’s going to cost, we’ll be saving up for a chance to get a piece of this super duper hot hatch. It’s got a double-clutch S-tronic gearbox, hasn’t it? Actually it hasn’t. 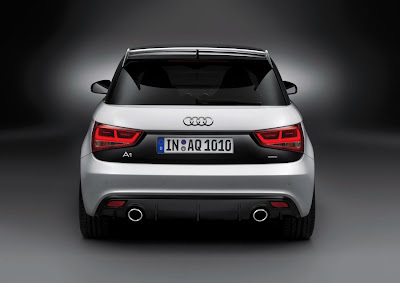 The prototype four-wheel drive A1 we tested earlier this year had a six-speed manual, and so does this production A1 Quattro. 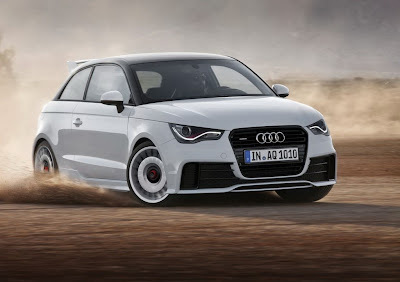 And enthusiasts should also like the sound of the chassis tweaks: Audi promises this limited-run A1 ‘is much more tautly tuned than the production model’. 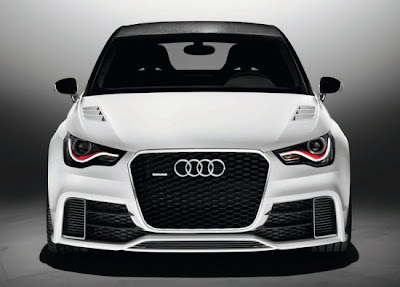 Those are changes below the skin though; much more obvious is Glacier White paint (the only colour available) the deep front bumper (that mainly comprises intakes rather than any actual metalwork), red-tinted headlights, sill extensions, twin exhaust pipes, the big rear wing and white alloy wheels. There are 225/35 R18 tyres all round, 312mm front brakes clamped by black callipers, and a three-stage ESP system with a Sport mode and a you’re-on-your-own setting. Inside there’s a red rev counter, and red stitching to contrast with the black Nappa leather.